Google Buzz, the company's much maligned foray into social networking that was about as popular as genital herpes, is dying. Oh, you thought it was already dead? Not yet. But that's probably why Google is killing it. 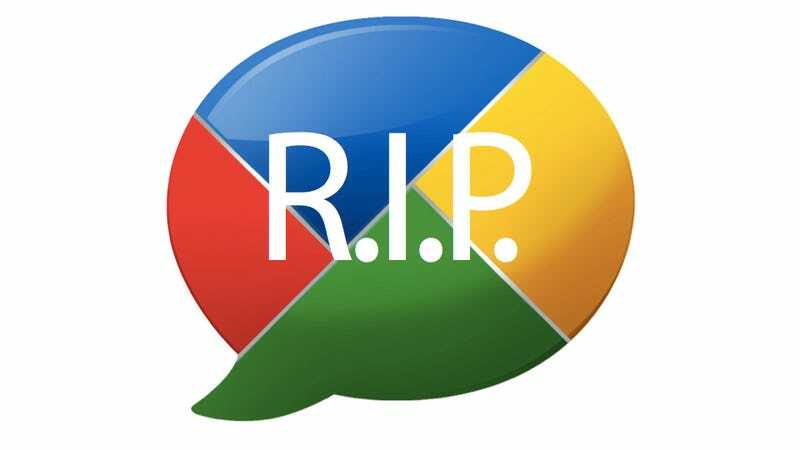 In a blog post today, Google announced that it's killing off Buzz, along with Jaiku, Google Code Search, iGoogle's social features, and the University Research Program for Google Search. Later today, it's also shuttering Google Labs (don't worry, this won't affect any of the Labs add-ons you're using in Gmail or Maps.) Pour a 40. Or just, you know, go about your business. I'd say I'm going to miss Buzz, but to be honest I had all but forgotten about it. Oh well. If you need me, I'll be hanging out on Google Wave.